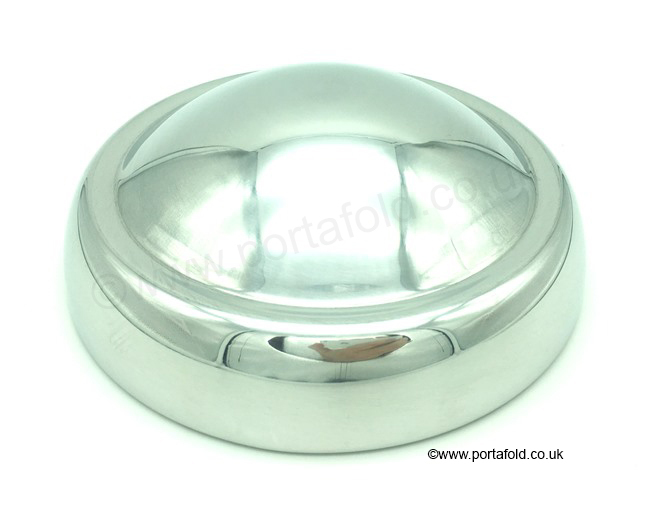 This a brand new deep-dished hub cap, as used on the later style Portafolds with the long stub axles. These are made using the same tooling as in the 1960's by a British manufacturer. This style of hub cap were not used on any car, hence they are rare and hard to find.